The regulation of short-term consumer credit markets is heatedly debated around the world. 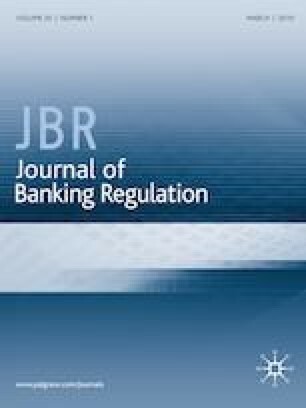 This article uses economic research as a basis for a qualitative assessment of the regulation of the short-term consumer credit market and discusses the experience of the recent regulations implemented in Finland. According to research, the interest rate ceiling is an inefficient way of regulating the short-term consumer credit market. In contrast, the regulations should be based on price transparency and results from behavioral economics. The author has engaged as an expert on issues relating to consumer credits by 4finance in the past. The views expressed in this article belong to the author and do not necessarily correspond to those held by the Bank of Finland nor 4finance. The author thanks Dalvinder Singh (the Editor), seminar participants at 4finance, Essi Eerola, Ari Hyytinen, Kimmo Koskinen, Tuomas Louhela, Hanna Putkuri, and Jukka Vauhkonen for their useful comments and discussions. He also thanks the OP Group Research Foundation for funding. Financial Conduct Authority. 2014. Detailed Rules for the Price Cap on High-Cost Short-term Credit – Including Feedback on CP14/10 and Final Rules. Policy Statement 14/16, November 2014, https://www.fca.org.uk/publication/policy/ps14-16.pdf. Accessed 8 Feb 2018. Ministry of Finance, Finland. 2016. Response to the Warning of the General Board of the European Systemic Risk Board. VM/1976/04.00.05.01/2016, 9 November 2016, https://www.esrb.europa.eu/pub/pdf/warnings/161128_ESRB_FI_response.en.pdf. Accessed 11 March 2019. Financial Supervisory Authority. 2016. Warning Issued by the European Systemic Risk Board to Finland and Seven other EU Countries. Press release 19/2016, 28 November 2016, https://www.finanssivalvonta.fi/en/publications-and-press-releases/Press-release/2016/19_2016/. Accessed 11 March 2019. Topi, J., and J. Vauhkonen. 2017. How can we dampen the build-up of housing price bubbles? Bank of Finland Bulletin 2/2017, https://www.bofbulletin.fi/en/2017/2/how-can-we-dampen-the-build-up-of-housing-price-bubbles-/. Accessed 11 March 2019. Bentham, J. 1787. Defence of Usury (4th edition, 1818). London: Payne and Foss. http://www.econlib.org/library/Bentham/bnthUsCover.html. Accessed 15 Aug 2017. Smith, A. 1776. Inquiry into the Nature and Causes of the Wealth of Nations (5th edition, 1904). London: Methuen & Co. http://www.econlib.org/library/Smith/smWNCover.html. Accessed 15 Aug 2017. Ivaldi, M., B. Jullien, P. Rey, P. Seabright, and J. Tirole. 2003. The Economics of Tacit Collusion. Final Report for EU Commission DG Competition, http://ec.europa.eu/competition/mergers/studies_reports/the_economics_of_tacit_collusion_en.pdf. Accessed 11 March 2019. Finnish Government. 2012. Hallituksen esitys eduskunnalle laieksi kuluttajasuojalain 7 luvun, eräiden luotonantajien rekisteröinnistä annentun lain sekä korkolain 2§:n muuttamisesta. Government bill 78/2012, https://www.finlex.fi/fi/esitykset/he/2012/20120078, accessed 11 March 2019. (Available only in Finnish and Swedish. The title in English (unofficial translation by the author): “Government’s bill to the Parliament proposing laws amending Chapter 7 of the Consumer Protection Act, the Act on the Registration of Certain Lenders, and Section 2 of the Interest Act”. ).